Walter Reed Army Medical Center, Pulmonary - Washington, D.C.
Dr. Derderian completed his undergraduate degree at Michigan State University in East Lansing before joining the U.S. Army. He later decided to pursue osteopathic medicine at the University of Health Sciences in Kansas City, Mo. After his internal medicine residency at Genesis Hospital Systems in Flint, Mich., Dr. Derderian completed a pulmonary medicine fellowship at Walter Reed Army Medical Center in Washington, D.C. 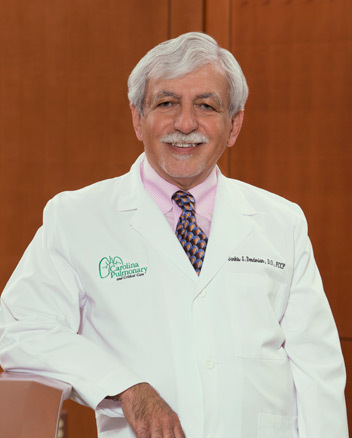 In addition to his clinical practice, he serves as director for the West Columbia location of Lexington Sleep Solutions, an American Academy of Sleep Medicine-accredited facility for sleep disorders. A fellow of the American College of Chest Physicians, he retired from the military in 1995 as a lieutenant colonel.